The town became a popular winter retreat for hunters, fishermen, and boaters, and in 1883 the Alexander House, a two-story hotel, was opened. The Alexander House has been renamed several times and was later listed on the National Register of Historic Places in 1975. A railroad came to town in 1887, followed by an orange packing house, fertilizer factories, and a cannery were established as well. The town was granted a charter in 1910 with John Philip Donnelly as its first mayor; the town had 371 residents at the time. In the 1920s, Mount Dora began to grow significantly, both in residential development and business development. Mount Dora began investing in public infrastructure, including streetlights, a water system, curbs, and paved roads. The first two public parks were created and the Mount Dora Community Building was built largely from funds raised by Mount Dora residents. The building has since served as the city's performance and meeting venue. Fear of the Cold War was on the minds of many Mount Dora residents. One wealthy individual decided to construct a fallout shelter. With contributions from about 25 other families, the underground shelter known as The Catacombs was built. It could support 100 people for six months and contained an air conditioner and dehumidifier, as well as food and supplies. The condition of The Catacombs is greatly deteriorated, and its location is kept a secret. In 2017, Mt. Dora became embroiled in a dispute with a family over an issue of free expression. The homeowners painted the wall surrounding the property with images from Vincent Van Gogh's Starry Night, supposedly to help their adult autistic son recognize the property when walking home. The city cited the couple, stating that the paint on the wall had to match the paint on the house. So the homeowners painted the entire two-story home with Starry Night images. The city cited the house for "graffiti", and the couple was fined $100 per day.. In July 2018 the Mount Dora City Council approved a settlement with the homeowners that would allow the artwork to remain. The settlement includes a requirement to keep the design in good condition. The homeowners' fines were dismissed and they were awarded $15K by the city. The Mount Dora Historic District is a U.S. historic district in downtown Mount Dora. The district is roughly bounded by 3rd Avenue, 11th Avenue, Clayton Street, and Helen Street. It was added to the National Register of Historic Places on October 1, 2009. 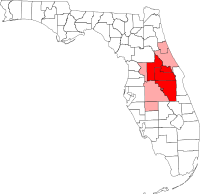 Mount Dora is located at 28°48′23″N 81°38′35″W﻿ / ﻿28.806519°N 81.642996°W﻿ / 28.806519; -81.642996. According to the United States Census Bureau, the city has a total area of 11.40 square miles (29.5 km2), of which 10.25 square miles (26.5 km2) is land and 1.15 square miles (3.0 km2) (14.58%) is water. Overlooking lakes Dora, Gertrude and Beauclair, Mount Dora is situated on a plateau 184 feet (56 m) above sea level. Despite the name, there is no mountain nearby. Mount Dora is home to several different museums. The Mount Dora History Museum is a project of the Mount Dora Historical Society. This museum is the location of the first fire station and city jail, which opened in 1923. The exhibits highlight activities in Mount Dora from the 1880s to the 1930s. The museum is located near Donnelly Park. The Mount Dora Museum of Speed opened for business in 2001 to adults only and is located on North Highland Street. In 2015 it was named Mount Dora's number one attraction by Tripadvisor for the 3rd year in a row. The museum displays muscle cars, "pro cars", foreign cars, and a 45+ year old collection of "automobilia" (auto antiques). The staff displays ten to twelve of their personal cars, and twelve to fifteen cars are on sale at most times. Modernism Museum Mount Dora opened in 2013 and is located on East Fourth Avenue. Two stories high, this museum focuses on the Studio Arts Movement, a form of modernism where high art meets craftsmanship, posing the question, "Is it sculpture, or is it furniture?" The Mount Dora Center for the Arts is a multifaceted community center which provides fine arts gallery exhibitions, education programs for all ages and levels, an annual fine art action, monthly Art Strolls, and helps organize the Annual Mount Dora Arts Festival. Located on East Fifth Avenue, it was founded by a group of volunteers who wanted to celebrate the arts in Mount Dora and to promote and improve their arts festival. Mount Dora is home to several parks and nature preserves. Gilbert Park is located at the intersection of Tremain Street and Liberty Avenue. This park was named for its donor, Mr. Earl Gilbert. The park includes a barbecue area, several pavilions, and a large playground. The park has recently gone through renovations, which included two new pavilions, upgraded restrooms, new landscaping, and improved parking. The "Wood Wonderland" playground was updated and expanded. Annie Donnelly Park is located in the downtown Mount Dora area at the intersection of Donnelly Street and 5th Avenue. It is the location of their annual tree lighting ceremony, as well as several of Mount Dora's special events. The park contains, benches, restrooms, a fountain, and shuffleboard courts, a tennis court, and three pickleball courts. It is the location of the Donnelly Park building, which can be rented out for special events. Grantham Point Park is located on Tremain Street across from Gilbert Park on Lake Dora, Grantham Point Park is sometimes referred to as "Lighthouse Park". The 35 foot lighthouse was dedicated on March 25, 1988. Built of bricks covered with stucco, the lighthouse stands sentry over the Port of Mount Dora. Its 750-watt photocell powers a blue pulsator sending out a guiding light to all boaters navigating Lake Dora after dusk. The Mount Dora Light is the only inland freshwater lighthouse in Florida. The Lake County Water Authority has several preserves in the area. As of the census of 2010, there were 9,039 households, and 5,236 families residing in the city. The population density was 1,542.0 inhabitants per square mile (739.1/km²). There were 6,942 housing units at an average density of 941.6 per square mile (363.3/km²). The racial makeup of the city was 73.3% White, 19.2% African American, 0.1% Native American, 3.4% Asian, 0.1% Pacific Islander, 1.3% from other races, and 2.6% from two or more races. Hispanic or Latino of any race were 7.7% of the population. There were 4,123 households out of which 21.1% had children under the age of 18 living with them, 48.6% were married couples living together, 11.0% had a female householder with no husband present, and 37.2% were non-families. 31.6% of all households were made up of individuals and 16.6% had someone living alone who was 65 years of age or older. The average household size was 2.22 and the average family size was 2.75. In the city, the population was spread out with 20.5% under the age of 18, 6.4% from 18 to 24, 21.7% from 25 to 44, 24.2% from 45 to 64, and 27.2% who were 65 years of age or older. The median age was 46 years. For every 100 females, there were 86.0 males. For every 100 females age 18 and over, there were 82.3 males. The median income for a household in the city was $37,364, and the median income for a family was $46,394. Males had a median income of $30,993 versus $24,259 for females. The per capita income for the city was $21,724. About 8.8% of families and 12.6% of the population were below the poverty line, including 21.6% of those under age 18 and 9.1% of those age 65 or over. The district is home to two public elementary schools, one public middle school and a high school; Mount Dora High School. The district is also home to nine private schools which teach a range of grades from PK-12. Southern Technical College operates a campus in the city. The Mount Dora Center for the Arts hosts the Mount Dora Arts Festival, a juried fine arts festival, on the first full weekend of February. The festival features works of fine art for sale including oil paintings, watercolors, acrylics, clay, sculpture, and photography. The festival also includes live musical entertainment and food. The Annual Mount Dora Music Festival is held the 3rd weekend in February. The festival began in 1991 as a way to celebrate classic music and public education. It has since evolved to feature a diverse celebration of music and has brought orchestral music to local schools, classical performances to retirement communities, and free public concerts to the community. It is organized by a volunteer Board of Directors. The Mount Dora Spring Collectibles and Crafts Show is held every 3rd weekend in March in the downtown area. The festival includes antiques and collectibles dealers, and crafters and artists displaying their treasures for sale. The festival lasts for two days. The Sailboat Regatta and Mount Dora Blueberry Festival are held in April. The Regatta, which is hosted by the Mount Dora Yacht Club, is the oldest in the state and will be celebrating its 63rd year in 2016. The inaugural Blueberry Festival was hosted in 2015 on the shores of Lake Dora to celebrate the agricultural importance of blueberries to the Central Florida economy. The Mount Dora Blues and Groove weekend takes place in May. This festival is hosted by Visit Mount Dora and is produced in partnership with Full Sail University. It brings blues music to Elizabeth Evans Park and was founded in 2009. The Mount Dora Seafood Festival takes place in August and began in 2015. The festival includes several booths with fresh seafood, as well as beer, wine, crafters, and activities for children. The Mount Dora Chamber of Commerce holds Florida's oldest Bicycle festival annually in early October. It celebrates its 43rd year in 2017 and is three-day event. The Festival includes a variety of daily rides, ranging from 8 mils to 100 miles. Mount Dora's largest event, the Mount Dora Craft Fair, draws over 250,000 visitors every 4th weekend in October. It features more than 400 talented crafters and artists, and includes an eclectic mix of arts and crafts from sculptures to ceramics to paintings to woodworking. The Plant & Garden Fair and Scottish Highland Festival are held in November. The Plant and Garden Fair takes place on the first weekend in November and is hosted at Lakeside Inn. The proceeds benefit local horticultural projects. The Scottish Highland Festival was founded in 2012 and features Scottish bands and musicians, as well as an afternoon of Highland Games. Mount Dora is the setting for the classic post-apocalyptic novel, Alas, Babylon by Pat Frank (1908-1964), under the fictitious name of Fort Repose. Frank lived there with his last wife. Mount Dora is one of the settings in Steve Berry's action adventure thriller "The Columbus Affair". Napoleon Hill (1883-1970), author of Think and Grow Rich (1937), lived in Mount Dora during the 1930s and '40s. He lived in a large house called The Castle overlooking Lake Dora, with a swimming pool on the roof. It was torn down in the 1980s. The book Doesn't She Look Natural by Angela Hunt is also set in Mount Dora. The buildings in downtown Mount Dora were painted pink for the feature film, Honky Tonk Freeway. Being a movie location provided an economic boost for merchants, helped restore the downtown area, and gave Mount Dora a dose of national publicity. An independent Italian-American production crew filmed a horror film titled Witch Story in the downtown area. The film was never released in the United States. Two years following Witch Story, an HBO movie titled Somebody Has to Shoot the Picture was filmed. The movie starred Roy Scheider and Bonnie Bedelia. The tennis film, The Break, took place partly in the city of Mount Dora. It was filmed by an independent production company and aired on cable TV. ^ "History Of Mount Dora Florida". Florida Backroads Travel. Retrieved November 30, 2015. ^ "Lake County". Jim Forte Postal History. Retrieved June 7, 2015. ^ a b c d "Mount Dora, FL - Official Website - History of Mount Dora". ci.mount-dora.fl.us. Retrieved November 3, 2015. ^ "Telling Mount Dora's History". Orlando Sentinel. January 23, 2002. Retrieved November 30, 2015. ^ "National Register of Historic Places Listings". NPS.gov. October 9, 2009. ^ Clark, Alisson (May 10, 1999). "What's in a name?". Ocala Star-Banner. pp. 3C. Retrieved June 7, 2015. ^ "Mount Dora Historical Society Home". Mount Dora Historical Society. Retrieved November 3, 2015. ^ "THE MUSEUM". classicdreamcars.com. Retrieved November 28, 2015. ^ "Modernism Museum". modernismmuseum.org. Retrieved November 28, 2015. ^ "Mount Dora Center for the Arts". mountdoracenterforthearts.org. Retrieved November 30, 2015. ^ "Gilbert Park". Mount Dora, FL. Retrieved November 13, 2015. ^ "Donnelly Park". Mount Dora, FL. Retrieved November 20, 2015. ^ "Mount Dora, FL - Official Website". Ci.mount-dora.fl.us. Retrieved November 17, 2015. ^ "Lake County Water Authority |". Lcwa.org. September 8, 2010. Retrieved November 17, 2015. ^ "Arts Festival | Mount Dora Center for the Arts". mountdoracenterforthearts.org. Retrieved November 28, 2015. ^ "Mount Dora Music Festival - History and Mission of the Festival". mountdoramusicfest.com. Retrieved November 28, 2015. ^ "Mount Dora Spring Collectibles & Crafts Show - An eclectic mix of arts, crafts & collectibles". www.mountdoraspringshow.com. Retrieved November 28, 2015. ^ "Blueberry Festival". festivalsofflorida. Retrieved November 28, 2015. ^ "7th Annual Mount Dora Blues~n~Groove Weekend". bluesandgroove.com. Retrieved November 28, 2015. ^ "Mount Dora Craft Fair". www.mountdoracraftfair.com. Retrieved November 28, 2015. ^ "Mount Dora Plant and Garden Fair First Weekend in November". www.mountdoraplantandgardenfair.org. Retrieved November 28, 2015. ^ "Mount Dora, FL - Official Website - Cultural Events". ci.mount-dora.fl.us. Retrieved November 28, 2015. ^ Campbell, Ramsey (June 14, 1998). "Mount Dora Gets Good Reviews By Starring In Movies". Orlando Sentinel. Retrieved June 7, 2015. Wikimedia Commons has media related to Mount Dora, Florida. This page was last edited on 4 March 2019, at 19:03 (UTC).